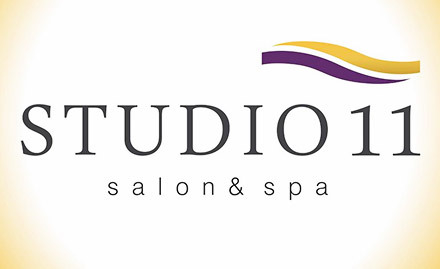 Studio 11 is a division of Bloomwell Health and Wellness Ltd which is one of the most reputed beauty salon and spa franchise in India. Studio 11 is now expanding its business in the metro tier 1 and tier 2 countries of India and flourish the business even more. The beauty industry is a rapidly growing business in India as it is becoming a necessity for women these days. Grooming is becoming the widely acknowledged requirement which is why an expansion in the beauty business is always profitable in India. There are numerous brands with their numerous ventures but even that does not seem to fulfill the demands of people which is why this business is very profitable and the returns are really good. Studio 11 with its reputation and great products that they use now ace the business and gain large returns. This is the reason why Studio 11 beauty salon and spa franchises are now expanding with an annual rate of 30% in India. So if You have opted for Studio 11, you have definitely made the right choice. The reason why Studio 11 is one of the most preferable choices among beauty salons is because it has a worldwide reputation and requires a low investment. Studio 11 empowers market with its technical pro approaches. The interiors with 3D visuals and 25 management executives make sure that the salon is marketing with the right approach so that the sales can be monitored. These are strong reasons for the rise of Studio 11. Studio 11 provides various business models therefore your investment will vary according to the business model you choose. As a rough assumption the investment required to start a studio 11 franchise will be something between 25 to 60 lakhs. It is quite a business idea as the beauty industry is on the verge of expansion in India. There is no land requirement declared about the company so probably it is something that they prefer discussing in person when you will sign up for the business. The managing officials are the backbone of the business and they monitor the complete business and ensure that the business is running smoothly. They are the base of the support system provided by Studio 11. With their website and their software system they control all the sales and manage the market of Studio 11 franchise divisions in India. There are loyalty and promotions that take place within the organization on the basis of performance measures. Uniforms in the saloons are a must. Customer care for better services is also offered to manage the work better. In order to apply you are required to fill the online application form which is available at the official website studio11.co/franchise. Give up you basic information such as name, email address, contact number and the city of your preference to start the business. This is the only way for applying as Studio 11 has not provided with any email id or contact number for franchising.